Camper trailers are portable rooms towed at the back of a vehicle. They are becoming popular alternative camping shelters compared to the traditional tents. They provide more comfort and protection, especially during unexpected heavy rain and strong wind. Nowadays, camper trailers can include a kitchen, fridge and water pump. With these many features, you might think that camper trailers are only for the wealthy campers. Well, you’ll be surprised that it is not the case. The number of manufacturers in the market for advanced camper trailers is increasing, making the prices more competitive for the consumers. Also, camper trailers are now available to purchase through financing. It’s now becoming affordable for everyone and not just for rich campers. People are using finance nowadays to improve their lifestyle, like purchasing cars and acquiring properties. So if you are an avid camper, why not use finance as well to get a camper trailer. The total cost of buying cheaper camping gear will eventually equal the cost of a camper trailer. You can escape the hassle of queuing at camping parks and cook in your own trailer instead. All-inclusive manufacturer’s warranty can save you dollars in the long run. Camper trailers are easier to set-up in comparison to traditional, family sized tents. You can free up your garage space and store your camper trailer outside under cover. 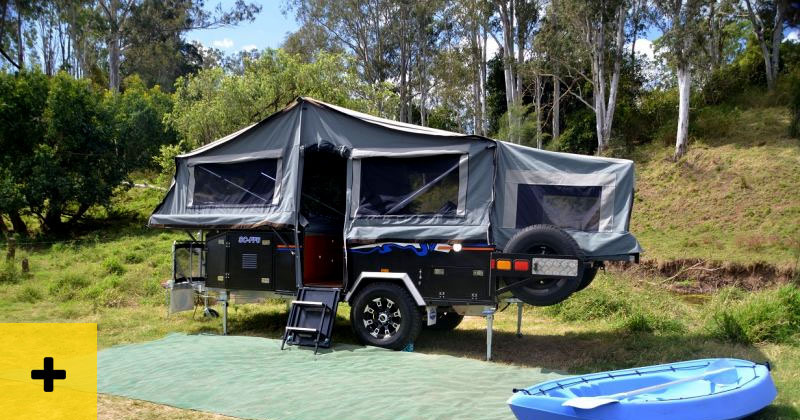 Stoney Creek Campers – This family owned business is based in Ipswich QLD. They provide affordable and top quality camper trailers for everyone. Some of their products are the SC Forward Folding Model, SC Rough Roader Model and the SC Scout. Pioneer Campers – This is one of the most established companies in the camper trailers industry. Since 2001, the company has proven to produce tough-road camper trailers made of steel and timber. Right now, Pioneer is known for their Hard Floor and Hard Top Off-Road Camper Models. Austrack Campers – The company’s motto is, “Built Tough, Built to Last”. They also have a wide range of products that can fit everyone’s budget. Jayco – Jayco is one of the more popular manufacturers of camper trailers. The design, quality and security of their products set them apart from other camper manufacturers. Choose your preferred camper from a compact J-Pod, camper trailers that accommodate up to 8 persons, or a bigger caravan for the whole family. Market Direct Campers – The company is proud to be 100% Australian owned and operated. They have branches almost all over Australia. Also, they deliver your product right away in just a few days. Whichever manufacturer you choose for your first camper trailer, don’t forget to take advantage of our financing options here at Aussie Leisure Loans. You will be more flexible with monthly payments and you can go for the best camper trailer that you can afford. Get A Camper Trailer Now! At Aussie Leisure Loans, we can get you started with a low interest rate camper trailer loan. Feature image SC-FF6 model by Stoney Creek Campers. Previous Previous post: Caravans Vs. Motorhomes – Which Is Best For You?